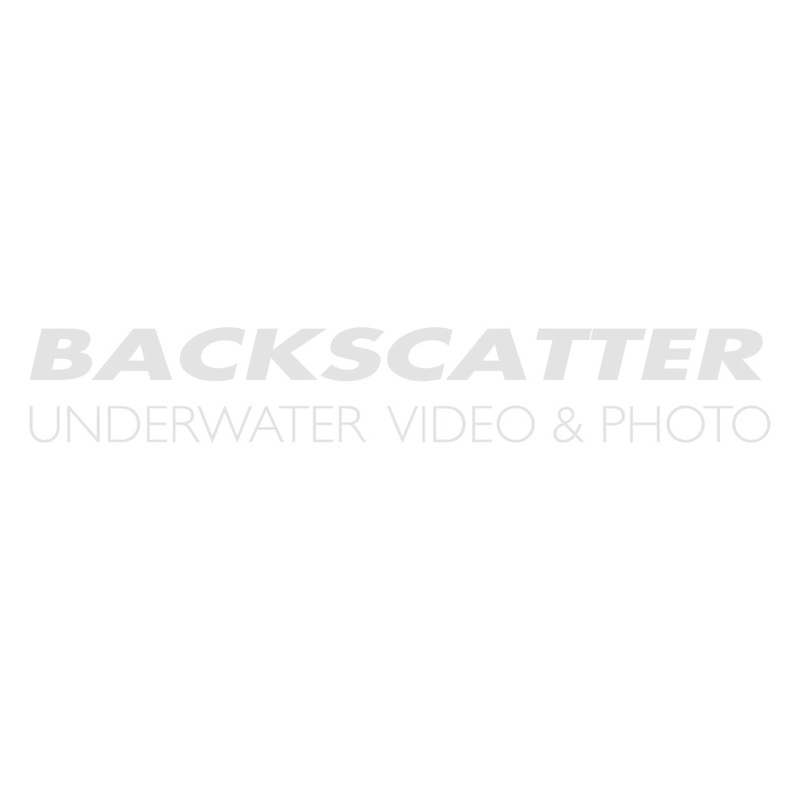 Backscatter is your expert source for professional grade Keldan underwater video lights. Keldan LED video lights offer a flat lens for a tight beam angle or a domed lens for super wide and even light spread underwater. All Keldan lights feature removable battery packs allowing you to quickly swap batteries and jump back in the water. Please contact our expert lighting staff to discuss which Keldan underwater video light best fits your budget and shooting project. Our pro_pri_e_tary LED ar_ray tech_nol_o_gy pro_vides a high ef_fi_cien_cy BLUE ra_di_a_tion with 450nm wave_length. This light is de_signed to be used for un_der_wa_ter flu_o_res_cence pho_tog_ra_phy . A unique fea_ture is the vari_able pow_er with 5 sett_ings rang_ing from 25-95 Watt. Keldan's proprietary LED array technology provides a high-efficiency BLUE radiation with 450nm wavelength. This light is designed to be used for underwater fluorescence photography. A unique feature is a variable power with 5 settings ranging from 25-95 Watt. The upgrades KELDAN has managed to pull off in this light are staggering. Output is increased by 50%, beam angle 11%, and CRI 17%. Keldan takes performance standard seriously, carefully validating all specifications in an exhaustive quality assurance process. LUNA 4 emits an actual measured 6,000 lumen, not a calculated output. The CRI LED module provides a 8,000 lumen output with a color temperature of 5,600 kelvins with an outstanding studio quality color rendering index of 96 (Ra). This module is optimized for the best possible color rendering. The FLUX LED module provides a very high output of 9,000 lumens with a color temperature of 5000K and a color rendering index of CRI 83 (Ra). This module is optimized for highest efficiency in order to provide maximum brightness. The LED module Hyperspectral is designed for use with hyperspectral cameras for scientific applications. This module provides a spectrum which is covering the full visible range from 400nm to 700nm and beyond. The total buoyancy of the foam clamp is 5.3oz/150gr.